Austria went to polls on Oct 15 to choose its next leader. After a decisive victory for Sebastian Kurz, nationalist politics seems to be coming into the picture again. With the counting almost completed, excluding those who voted out of their home districts, People’s Party took away 31.6% of the votes. Social Democrats secured the second place with 26.9% votes, while far-right Freedom managed 26%. 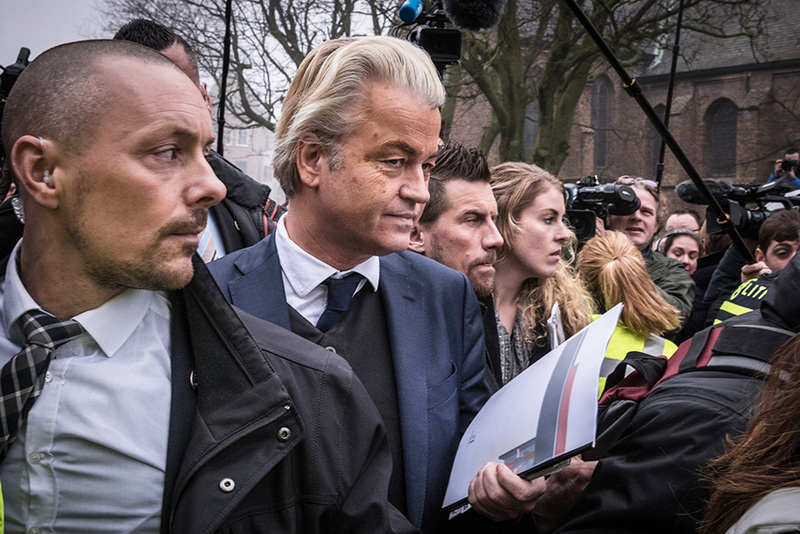 Far right politics seems to be gaining steam in Europe. Despite Geert Wilders of Netherlands and Marine Le Pen of France failing to emerge victorious in their respective elections, the support they received shows that Europeans are divided when it comes to political orientation in their respective countries. The Alt right is adjusting and adapting very fast; they will move towards the centre to gain control, once in they will implement their agenda with frightening speed, but what will be even more shocking is that the majority of the people will support this stance. The trend of polarisation continues to gather momentum.. A new powerful and very charismatic person will suddenly appear in Europe. It was the strongest and first unequivocal condemnation by a representative of the country’s conservative leadership of the white supremacist and racist views expressed by some of the 60,000 people who took part in a march on the Independence Day holiday Saturday in Warsaw. Government members over the past two days had mostly described participants as patriots and played down the nature of the xenophobic messages. Though many families took part in the march, the event was organized by far-right groups and some carried banners with slogans like “White Europe of brotherly nations” or had flags with Celtic crosses, a white supremacist symbol. The outlook will worsen before things get better; we are at stage 3, and this cycle has 7-10 levels. The Prime Minister of Sweden has vowed his country will ‘never go back’ to recent levels of mass immigration after it emerged the terrorist who killed four people in a truck attack was a failed asylum seeker. Stefan Löfven pledged to change his country’s liberal attitude, insisting the massive influx allowed during the 2015 migrant crisis would never happen again. This story and the one below confirm the trend that we first spoke of in 2015. Through the end of November, Norwegian police deported a total of 7,312 people who were living illegally in Norway, according to figures released on Friday by the National Police Immigration Service Norway (Politiets Utlendingsenhet). That’s the highest number ever, at around five percent more than last year. “This is a figure that shows that there have been many who do not have a legitimate claim to asylum who have stayed here and failed to leave the country, and that’s why it is necessary for the police to do the work they have done throughout the year,” State Secretary Fabian Stang told broadcaster NRK. “It’s always brutal when one is forced to use the police to get people to do what they are required to,” added Stang, who is secretary for Immigration Minister Sylvi Listhaug. It’s not only Muslims that are being targeted; all immigrants are paying the price now. The case, brought by Austria and Slovenia, could affect the future of several hundred people who arrived during the migrant crisis of 2015-16. The ruling concerns two Afghan families and a Syrian who applied for asylum after leaving Croatia. The court says it is Croatia’s responsibility to decide their cases. The crisis unfolded during the summer of 2015, as one million migrants and refugees travelled through the Western Balkans. Under the so-called Dublin regulation, refugees typically have to seek asylum in the first EU state they reach. But Germany suspended the Dublin regulation for Syrian refugees, halting deportations to the countries they arrived in. From August 2015, hundreds – and sometimes thousands – arrived in Austria every day, initially via Hungary and later through Slovenia. We stated that this would come to pass; in fact, we stated that the open hand would turn into a massive raise fist. The law of balancing states that the equation must balance; no matter how long it takes, the equation will always balance. We expect the outlook to darken a lot more before it stabilises.